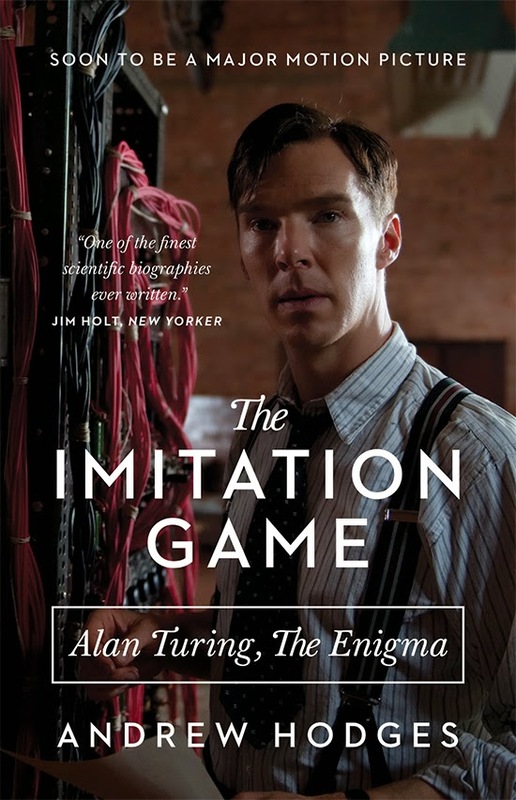 For wholly different reasons, my daughter and I are thrilled to see a date for the premiere of The Imitation Game movie in London and the UK. She's thrilled because it features Benedict "Sherlock" Cumberbatch; I'm thrilled because it's a big screen depiction of the life and work of Alan Turing - the British pioneer of modern day computing. Many would say that Alan Turing started the digital revolution. Although others around the world (such as the American Alonzo Church) had done some work, it was Alan Turing who envisaged and designed a machine that could be programmed to solve an infinite number of problems by being given a rule set upon which it would base its actions. In fact, it could theoretically solve any problem for which there was a solution (hence, it is basically a modern computer). It was Alan Turing who was instrumental in the development of the Bombe at Bletchley Park and it was Alan Turing whose ground-breaking ideas about Artificial Intelligence (AI) really pushed the boundaries of mathematical thinking at that time. "The fact remains that everyone who taps at a keyboard, opening a spreadsheet or a word-processing program, is working on an incarnation of a Turing machine." Turing's sorry, shabby reward for the instrumental role he played in winning the war for Britain was to be persecuted during the Cold War because his homosexuality was viewed as a security risk, to the point that he committed suicide. His pardon last year was a small recognition of his country's past mistakes. On Computable Numbers, with an Application to the Entscheidungsproblem (28 May 1936) in which Alan Turing first outlined his idea of a Universal Machine which could tackle any mathematical problem and which became known as the Turing Machine. Computing Machinery and Intelligence (1950) in which Alan Turing first proposes the Turing test to decide whether a computer can be called intelligent or not. If you can't wait until the general release of the film, to get a fix of Bletchley or Enigma or Turing, you might like to read Robert Harris's Enigma (or watch the film version), or Jack Norman's Broken Crystal. Both are good semi-fictional reads. Last week, writing about admin and deployment enhancements in SAS v9.4, I mentioned my estimation of the proportion of SAS customers on the latest version of SAS (I confidently estimated less than 50%). These figures are available in other contexts. For instance, Google publish figures for Android versions on a monthly basis. This is useful for developers and gives them guidance on how backwards-compatible their apps should be. When combined with the number of different manufacturers and handsets, the proliferation of Android versions is known as "fragmentation" and is seen in some quarters as a bad thing. From my perspective as a consumer, I think choice is a good thing, but I do see how it can create support and maintenance headaches for developers. Anyway, my reason for mentioning this, aside from the nod back to last week's article, was to draw your attention to a recently published report on Android fragmentation by Open Signal. The quality and style of the graphics in their report really caught my eye, so I thought I'd share it with you. I like the look and style of the graphics, but I also like the interactivity you get when you move your mouse over the graphics. What do you think? Could you replicate these graphics in SAS?